You know this is very simple, before going to write how to make tea, let me share my own experience with tea making. I love to make tea very much around 9 years i used to make tea at my grand parents hotel. I used to stay with my grand parents when i'm doing my schooling. They have a small hotel in my town Dharmapuri, it is in Andhra Pradesh in India. To be frank i know how to make tea from my 4th standard. Along with my regular studies i used to help my grand parents in hotel by this way i came to know how to make tea and later on most of the recipes from my grandma and my sister's cooking . Drinking tea is very good for health. Following are both Benefits and Drawbacks ..
2) Heart Disease : recently study in the general Circulation it is mentioned that drinking more than 2cups of tea in a day decreases the risk of death from Hear attack by 44%. 4) Immunity Power : daily having tea help you body's immune system fight off infection. 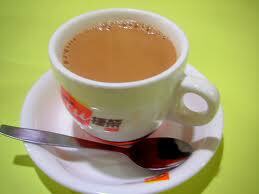 5) It gives instant refreshment immediately having tea . 1) Fluoride : high fluoride intake may cause easy fractures and osteofluorosis intake limits 2mg for children and 4mg for adults. 2) Aluminium : large amounts leads to toxicity in humans , may leads to death . Take a bowl add milk and water then lit the stove. After about 5 min of boiling milk add crushed balck pepper and ginger pieces . After a small break add tea powder , wait until tea powder goes down for the first time then only add your sugar . once again tea powder comes up boil until it goes down for the second time . now strain out tea and have it . If you make tea in this manner it gives awesome taste.